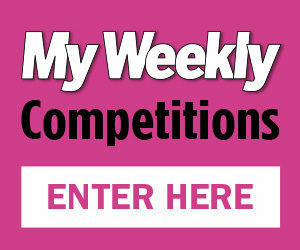 > Beauty Myths – True Or False? Beauty Myths – True Or False? There is a lot of beauty advice out there, from 10-step Korean skincare regimes to Keratin haircare treatments. We’re here to bust the myths around heat, cleansing and hydration, ensuring you get the very best out of your winter regime. 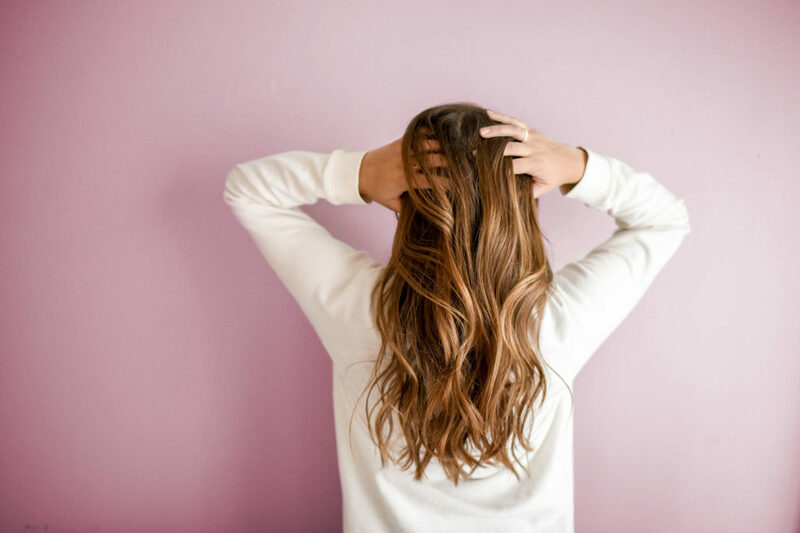 We all know the damage that hairdryers and tongs can do to our hair – the flash drying effect not only evaporates surface water but also the moisture that binds to our hair, meaning hair becomes brittle. Use a cool setting to minimise this if you can’t let your hair air dry. Heat isn’t always the enemy, though. Heated oil-based treatments can reduce dandruff, promote the growth of new hair, and help hair retain its moisture. Hot oil treatments have multiple benefits for both hair and scalp; smoothing cuticles, moisturising skin, stimulating blood flow and, in turn, hair growth. Whether you’re splashing your face with hot or cold water, your pores remain the same. Hot soapy water cuts through grease, but doesn’t open your pores. It can dry out your skin and remove natural oils, causing sensitivity and irritation, especially on the delicate skin around the eyes. Instead, loosen the sebum with the power of steam, to reduce the appearance of pores. Boil 1–2 cups of water, adding a couple of drops of essential oils, and place a clean hand towel over the back of your head. Hold your face close enough to feel the heat without it being too hot – the length of a lemon is usually the right distance. Try to stay in this position for five minutes, and then gently exfoliate away the sebum. Use a cold flannel, or splash cold water on your face, then pat dry. Did you know that you have around 70 oil glands along your eyelids? These ducts produce the natural oils that keep eyes healthy and hydrated. Occasionally, these glands can get blocked which can cause irritation and dry eyes. A good way to keep the oils moving is by applying a hot compress, like the OPTASE® Moist Heat Mask, (£10.99 available in Boots). 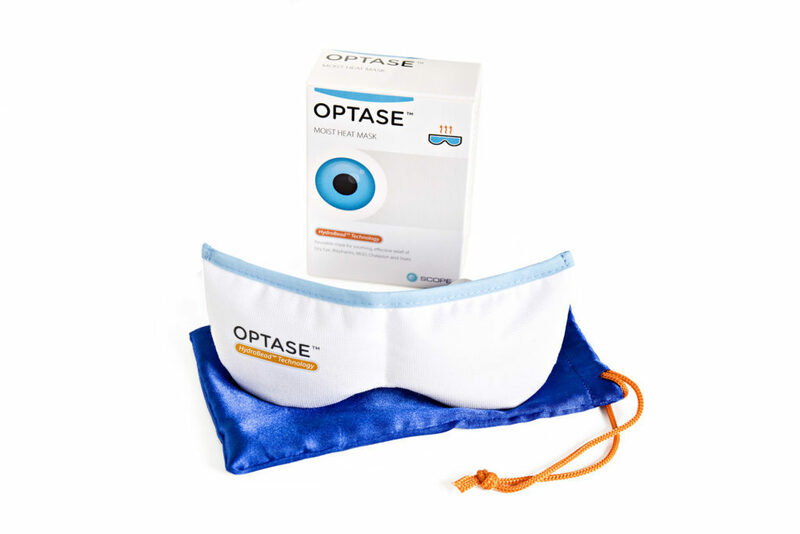 This trick maintains a consistent heat, stimulating the glands for at least ten minutes with the moist heat preventing the surface of the eye and surrounding skin from becoming dry. Simply put; this isn’t true. Your shampoo will not become less effective the longer you use it. However, that doesn’t mean that you should use the same product all year round. Just like our skin, the seasons and our lifestyle impact our locks. In winter, hair can become brittle and dry, so switch up your shampoo to a more nourishing one – remember a shampoo is not for life, it might just be for Christmas! Finding the right cleansing style for your skin is important. A lot of high-street cleansers are cream-based but cleansing with natural oils can have a wealth of benefits. ‘Natural’ is key as synthetic oils may cause spots but coconut, avocado and grape-seed oils bind to oil on the skin, helping to control further oil production. 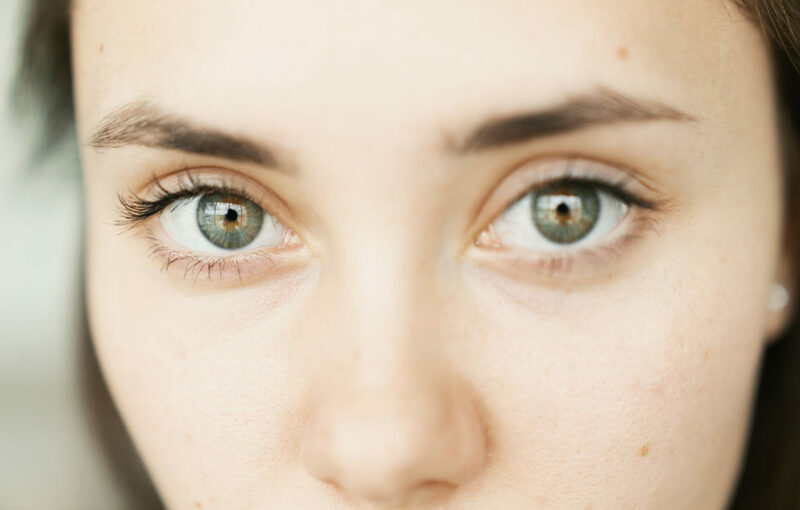 The skin around the eyes is so delicate, many of us don’t use a specialised cleanser when removing our waterproof mascara. Tea tree oil is one of the best cleansing and healing ingredients that loves delicate skin! It also has natural antimicrobial properties which makes it a great part of any skincare regime. 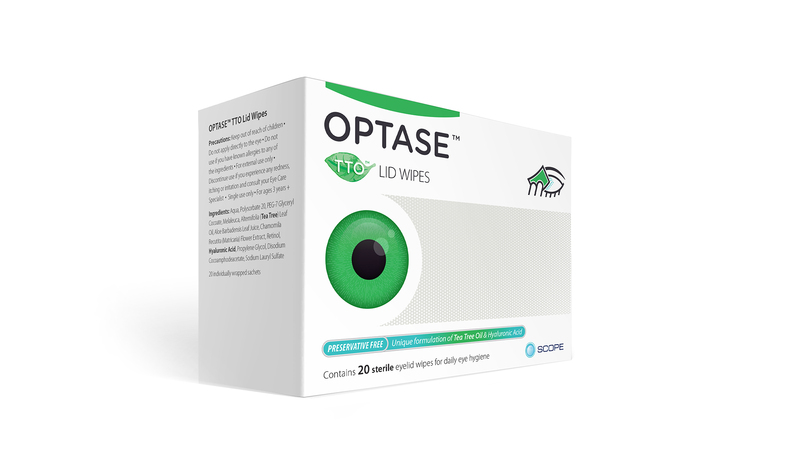 Our favourite cleansing wipes are the OPTASE TTO Lid Wipes (£9.99 available in Boots), which is tea tree oil-based with added camomile, aloe vera and hyaluronic acid for maximum powerful yet gentle cleansing. Drinking enough water is important for healthy hair and scalp as it promotes blood flow and extension growth, helping to strengthen fibres. However, you won’t notice shiny tresses from drinking water alone. The natural moisture levels for your hair are between 8% and 12%, but this can’t be replenished by water intake. The only way to promote a glossy sheen is to use protective and restorative oils to lock in moisture on the strands and flatten the cuticles. Our skin contains mostly water so keeping it hydrated inside and out is essential for preventing premature ageing and promoting a healthy glow. During the winter, the cold weather can cause our dry patches to intensify and become flaky, but this doesn’t always mean you should use a heavy moisturiser. 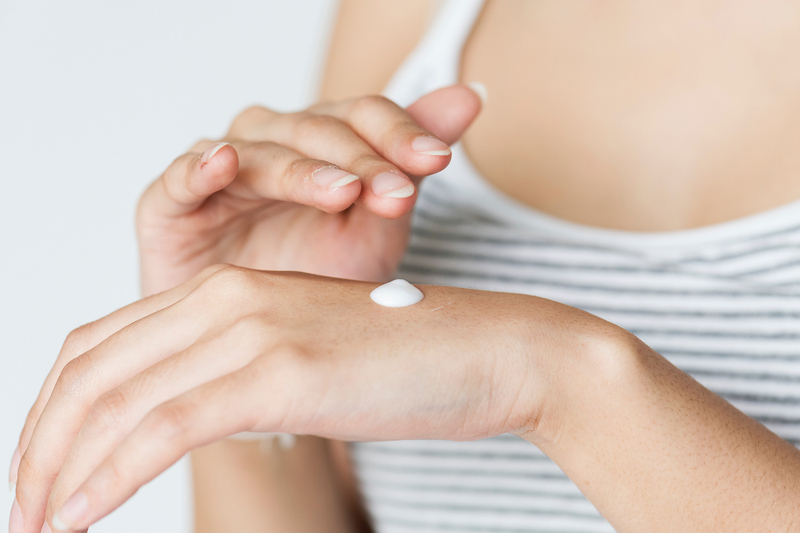 Every day we lose dry or dead skin cells, so using rich moisturisers on flaking skin is often too little, too late. 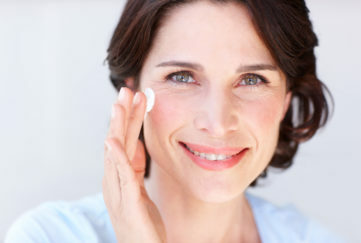 Instead, try a moisturiser that smooths and supports the skin’s natural protective barrier. This will have the dual benefit of boosting protection from cold weather without being too heavy on the skin, and will also allow light to reflect from a more even surface, giving a more radiant complexion. Surprisingly, if you experience excessively watery eyes this can actually be a sign of very dry eyes, which is very common in winter. As the cold wind blows on our face, our eyes often think we’ve got something in them and try to flush the irritant out with watery tears. These tears aren’t the kind that hydrate the surface of our eyes, and instead they become drier as a result! The new OPTASE Eye Spray (£15.99 available in Boots) has a unique composition of sea buckthorn seed oil rich in omega-3s, and hydrating sodium hyaluronate to soothe the delicate skin around the eyes and boost elasticity. 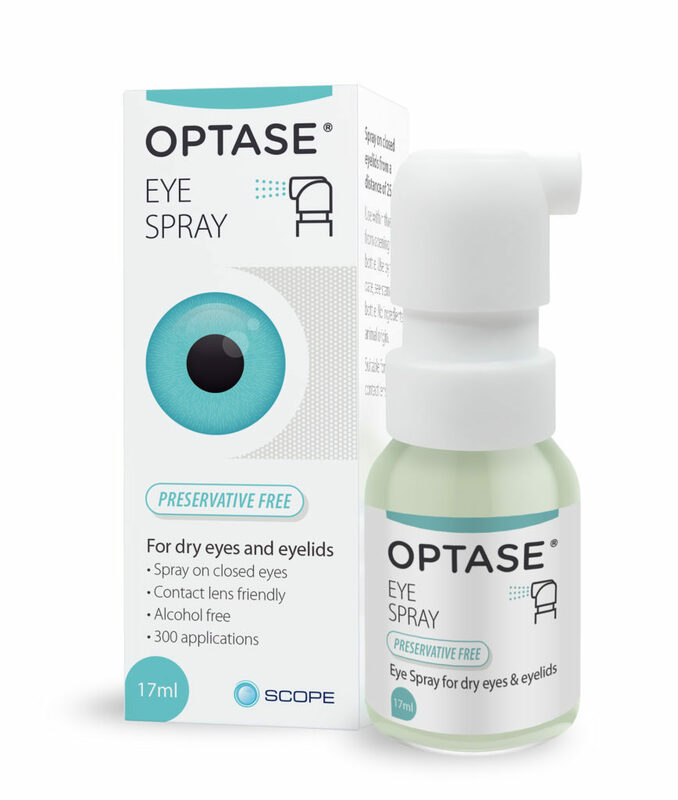 A gentle spritz before leaving the house should reduce eyes streaming.